Announcement: Web QA Test day badge! The Web QA team is excited to announce our newest badge: The Web QA Test day badge! 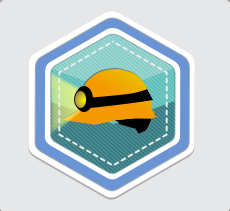 We will be handing out this badge to all active participants in our test days. All you need to do is to attend one of the Web QA test day events and make sure your name is listed as a participant, along with your activities. There are two upcoming test days which qualify. This Friday, May 2nd there will be an Intro to Web QA Testing event. Also, next Thursday May 8th will be a Marketplace test day. Come to either one- or both! Participate in the badge and then nominate yourself for the Web QA Test day badge. We would like to give a special shout out to Aidan Bryant- a new contributor to the Web QA team. She was able to get involved, and designed our Test day badge. Aidan is a big fan of Mozilla. As a UX Researcher she found a creative way to help our team – and we really appreciate her skills! It’s a good reminder that people with all types of skills can find ways to help Mozilla. Thanks for participating in Mozilla, and for helping out our team Aidan! To learn more about Aidan and her work, check out her personal site is www.aidanbryant.com or follow her on Twitter: @BlindRorschach. Hi, where do you need to put your name (to be listed as a participant)? I tried to nominate myself for the associated badge but it got rejected. Is this because I originally signed up to help with Services QA? What do I need to do differently in order to qualify for that badge? Thanks. Hi Carol- As I explained in my note, the badges are given out for attending a Web QA event – and are not given out ahead of time. Anyone can leave their name/test day info when applying for their badge so this doesn’t happen.